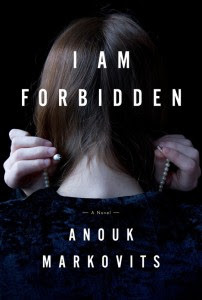 The novel I Am Forbidden by Anouk Markovits is a mesmerizing look at what it means to be an Hasidic Jew and it’s impact over three generations beginning with WWII. We see in very beautiful prose how being called to be separate from the world can sometimes be a difficult thing, but following the law to it’s very last letter is an impossible thing. This novel begins with Zalman Stern who is brilliant in his knowledge of the scriptures and zealous in his heart for the Lord. He marries Hannah Leah Shaiovits with whom he begat a daughter, Atara. Through the tumultuous circumstances of the war, he adopts another girl, Mira, and the two girls become very close. But, Atara cannot bear the beating she receives one evening, for riding a bicycle in the Luxembourg gardens on the Sabbath, and thus begins the separation from faith and family in her heart. Eventually she leaves home, willingly leaving the favor bestowed upon her by being obedient. When Mira marries Josef, a childhood friend who lost his family during the war, they are unable to conceive. She counts her cycles in a private book of days, she visits the doctor, she prays, she takes fertility pills to no avail. Josef, however, will not take tests to determine his fertility. He will not allow his seed to fall in vain as the tests require. When we take matters into our own hands, force what we want over what is, the results are often disastrous. We can justify our actions, twist scripture to apply to our decisions, as long as we want; once a choice has been made its ramifications cannot be undone. Mira makes a choice which will affect her life, her husband’s life, and ultimately their offspring’s lives for generations. It caused me to think deeply about what it means to be forbidden, and what it means to be forgiven. For I believe that while God wants us to be obedient, He knows our hearts and fallibilities. He wants us to live under grace, too. This, perhaps, is what Markovits believes as well. The publishers have graciously offered one copy of this book to be give away. Please leave a comment telling me you wish to be entered in the drawing (U.S. and Canada only, please). Thanks to TLC Book Tours and Hogarth publishers for the opportunity to read and review this novel. Anouk Markovits was raised in France in a Satmar home, breaking from the fold when she was nineteen to avoid an arranged marriage. She went on to receive a bachelor of science from Columbia University, a master of architecture from Harvard, and a PhD in Romance studies from Cornell. 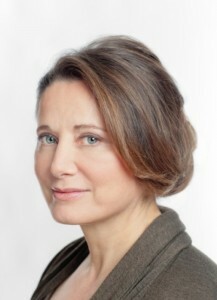 Her first novel, Pur Coton, written in French, was published by Gallimard. I Am Forbidden is her English-language debut. She lives in New York with her husband. Previous Post And if one read along in May isn’t enough, how about The Secret Garden? Not eligible, but thought I'd comment anyway. This sounds like a really poignant, thought provoking read, the kind that even after the last page is turned, remains throwing up questions, that have no answer beyond more questions. One book which I wish would have been open to all. It sounds such a tough book to read but must be such an intriguing/complicated story. I would love to read this. I looked it up after I saw it in your side bar a few weeks ago, but didn't get around to buying it! I'd love to be entered, it sounds fascinating! No need to enter me, as I'm part of the tour as well. Just wanted to say that I'm glad you enjoyed the book. It sounds really thought provoking and I'm looking forward to starting it soon. I would love to be entered! Love the subject. Engrossing. Bellezza, I'm also on tour for this book, so don't enter me in this giveaway. It sounds quite mesmerizing. Thank you for this “teaser”; I'm looking forward to reading the book. Sounds interesting. I think this sounds like something I would enjoy! I too don't need to be entered and I too wanted to gush about how amazing this book was — challenging faith, belonging, identity, yearning … so good! I would love to be entered in the giveaway since I enjoy reading about other cultures. This sounds very interesting. I would love to be entered in the giveaway! I have my own galley of this book so no need to enter me in the giveaway, but I really enjoyed your review and look forward to reading it soon. I may make June Hogarth Month or something! This looks really good, something that I would enjoy immensely. Please enter me for the giveaway.. and from the list of authors you have on your sidebar, you gained a new follower too =) Look forward to your reviews. I'm not eligible – But I'd like to comment – your review of this book is very inticing. The subjuect matter, the devout life vs real life is close to my heart and the internal struggles to make decisions that matter for oneself… thanks for the review. I will put this on the potential reads for the future. Ooh, this one sounds incredibly good – a book to really make me think. Thanks for taking the time to read and review this for the tour. I have read so much about this book that I would love to read it. The timeline, the storyline are novels that I really enjoy reading. This book sounds really good. I really enjoy Jewish literature. I'll have to see if my library has it.